We were having some work done on our house and had to move around some shelving in the basement. Thus, by pure chance, we noticed some curious strips or lines like little tubes running up the wall — we thought maybe they were made by water running down the wall, but nothing really fit. Scraping the lines showed that they had a hollow center tube in them. I dimly recalled seeing somewhere pictures of structures that termites built in order to get from the ground, where they nest, to the wood that they eat. We couldn’t see any signs of life in the tubes but decided to investigate. As it turns out, the Cooperative Extension’s expert in these things said my guess of termites was very likely to be correct. A visit from Pat Cozzarin Pest Management gave the decisive diagnosis — Pat even was able to find some actual termites in one of the tubes. I was hesitant to conclude we had termites mainly because I thought we were too far north for this particular pest. It turns out, according to Pat, that it is merely unusual but far from rare to find termites in Ithaca and West Hill, in particular, has had quite a number of infestations — hence this post, just to give a heads-up to our neighbors. Our house is on Cliff Street near Vinegar Hill, but I understand that these creatures have invaded houses all over West Hill. Without experience, the only thing we were able to see was the tubes on the cellar wall. 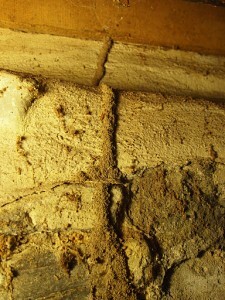 But, the pest expert was able to show us some actual termite damage upstairs where we could easily have seen it had we known what to look for. 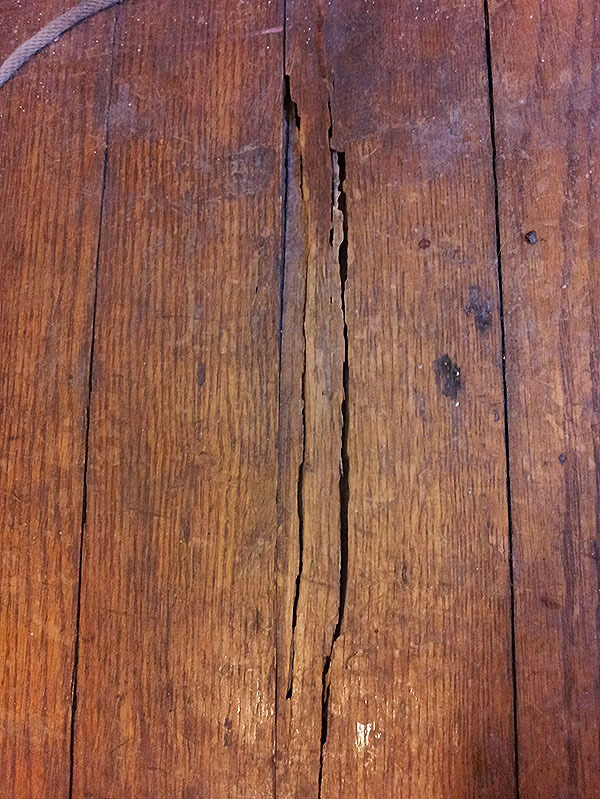 It looked just like some of the oak flooring had splintered, as though it had broken maybe due to something pulling up a big sliver. But, when Pat poked at it, we could see that there was a tunnel inside the floor board and the damage continued under the wall. We’re not in danger of having our house come down due to this. 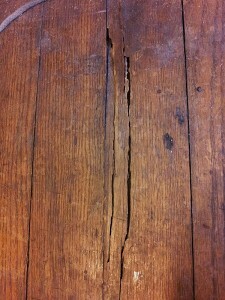 The termites seem to have entered the sill on one side of the house and are working along the floor on that side. Presumably we’ll be able to exterminate them and the repair may not need to be too extensive. But it’s easy to see how, without doing something, these things are able to accomplish damage you don’t even want to think about. 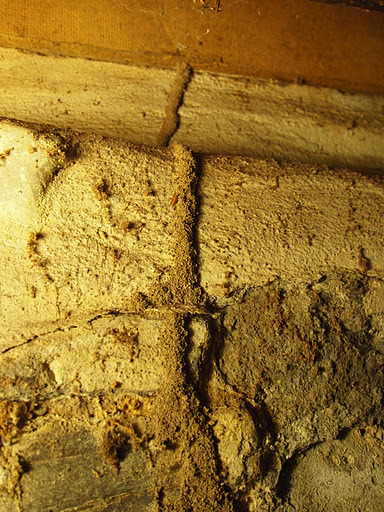 It’s a bit hard to photograph the termite tunnels, but I posted a variety of pictures on Picasa that might help get an idea of what they look like: Termites. The main thing is to see vertical lines that don’t correspond to the structure of the wall. The tunnels seem to be made of something like fine sand, tan in color; but that may be just characteristic for our location. Feel free to ask if I’ve left out anything that could help. Hey! We’d love to hear more about how you decided on which pest control person to use. We just found some suspicious tunnels in a piece of siding… and our whole house is wood – yikes! We’re also on West Hill. We asked around and got invariably high praise for this one. Our experience was tops — and, btw, the termites have not been back.